Bond markets reversed their long-term trend of descending yields as economic growth expectations and inflationary pressures mounted. The anticipation of lower taxes sent demand for municipal bonds down. A primary reason for buying munis is the tax benefit of municipal interest, thus resulting in a drop in muni prices in November. High-yield corporate bonds enjoyed a generous run-up in November as optimism regarding economic growth and jobs tends to benefit high-yield bonds. High-yield bonds are issued by companies that are considered less credit worthy and more at risk for default. The same companies who issue these bonds tend to prosper in a growth environment, thus generating greater profitability and increasing the likelihood of paying their bond obligations. The 10-year U.S. Treasury yield ended in November at 2.37%, up from 1.87% before the election and 1.37% in July after Britain’s vote to exit the EU. Even as U.S. Treasuries have fallen in price during this yield increase, they are notably the highest yielding government bonds among developed countries. 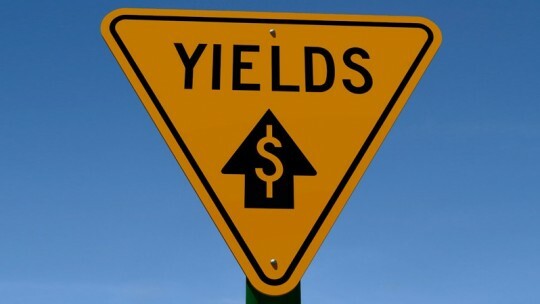 Such a disparity may attract new buyers in search of yield, resulting in higher prices and yield constraint. The forces affecting the U.S. bond markets are global, as U.S. debt from various sectors looks attractive yield-wise and also appears conservative relative to higher yielding emerging market debt. Sources: Bloomberg, U.S. Treasury Dept.